Here the XIV “story” on the What's Hapnyn San Diego podcast! Listen here! **We're proud to announce the new album, "Iota," is available *NOW*! Preview and purchase on iTunes and CDBaby! **Limited edition vinyl pressings of "Iota" are also available! Beautiful artwork with clear vinyl album. Purchase now at See Through Records. 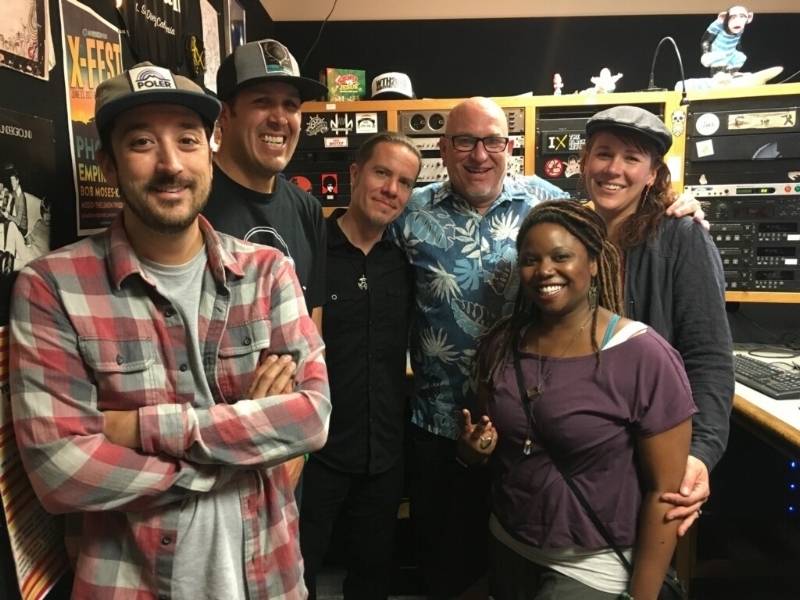 Thanks to Tim Pyles at 91X for having XIV live in studio on the Loudspeaker show! XIV had the honor of performing their song, "Walking Too Fast," from the film "66 and Nowhere" at the Laughlin International Film Festival awards ceremony. The movie won the award for Best Soundtrack and here we are with the director accepting the award on stage. XIV w/ the Space Jazz Ensemble @ The Northern Nights Music Festival, California.